After 73 years, the Dow Chemical Company and Corning Inc. have restructured their silicones joint venture. Dow Chemical announced June 1 that it has completed the restructuring of Dow Corning Corporation, with the former taking full ownership of Dow Corning's silicones business. 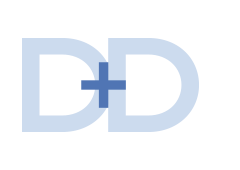 The multinational chemical corporation, headquartered in Midland, MI, said the strategic alignment will enable it “to go narrower and deeper” into high-growth, high-value markets such as building and construction, transportation and others. Dow Chemical Company is now 100 percent owner of Dow Corning’s silicones business. Here, Dow Chairman and CEO Andrew N. Liveris (left) and Robert D. (Bob) Hansen, outgoing chairman, CEO and president of Dow Corning, take part in an event welcoming Dow Corning to the Dow family. 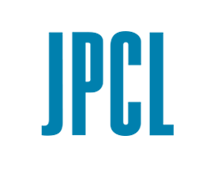 Dow Corning will operate as a wholly owned subsidiary of Dow, and will be headquartered with Dow in Midland. Prior to the restructuring, Dow Corning—described as a pioneer and leader in silicones, silicon-based technology and innovation—was a 50:50 joint venture between Dow and Corning Inc. for 73 years. The silicones business, which showed 2015 revenues of greater than $4.5 billion, is expected to generate more than $1 billion of annual earnings before interest, tax, depreciation and amortization (EBITDA) for Dow, based on its financial data extrapolations. Dow is positioned to capture a minimum of $400 million in annual cost and growth synergies from the restructured ownership, noted Andrew N. Liveris, Dow’s chairman and CEO. 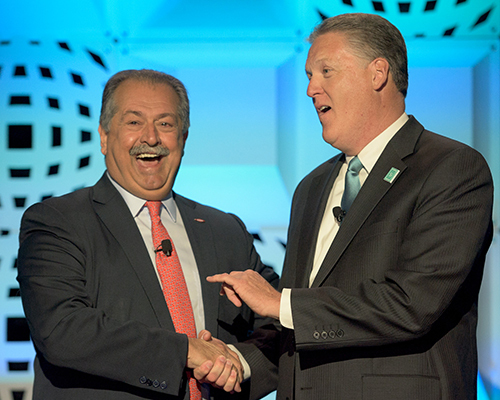 “As an owner of Dow Corning for more than seven decades, our deep understanding of common and adjacent markets we serve will enable us to go narrower and deeper into high growth businesses where innovation is rewarded with value,” Liveris said. 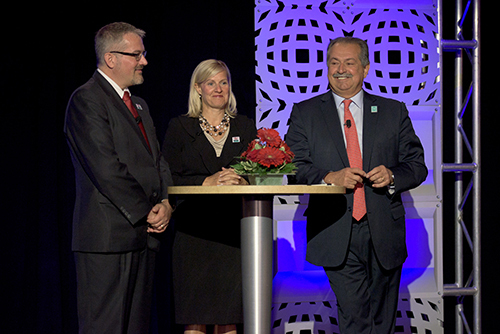 Incoming president of the Dow silicones business, Andy Tometich (left), joins Liveris on stage at the welcome event. Dow anticipates it will recognize the benefits of the deal, in areas such as operating earnings per share, cash flow from operations and free cash flow, within the first full year after the transaction’s close. Dow and Corning will maintain their equal proportional equity interests in Hemlock Semiconductor Group, a polysilicon producer in which Dow Corning was the majority shareholder. According to the company, the “highly synergistic” deal extends Dow’s participation in its Consumer Solutions and Infrastructure Solutions segments, providing immediate integration into Dow’s monomer and polymer value chains. 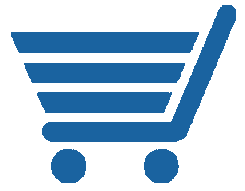 It also enables Dow to provide complementary technology offerings in attractive industries where Dow has already positioned itself as a leader, such as building and construction, consumer care, transportation, packaging and electronics. “Dow Corning’s world-leading silicone position brings a complementary new chemistry and technology to Dow, with it being a hand-in-glove, strategic fit for our material sciences portfolio,” Liveris said. Leadership from both companies have already begun working together to set up the organizational design that will allow them to seamlessly integrate Dow Corning into Dow’s existing operations upon finalizing the deal. Howard Ungerleider, vice chairman and chief financial officer of Dow, will take on the role of chairman of Dow Corning now that the restructuring transaction is complete. As previously reported, Dow Vice Chairman and Chief Financial Officer Howard Ungerleider was tapped to serve as chairman of Dow Corning, in addition to his current responsibilities, upon completion of the restructuring. 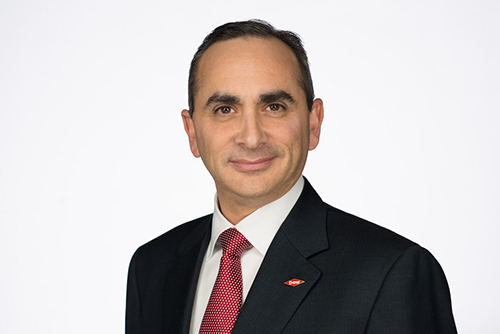 Dow Vice President Mauro Gregorio, who leads the Dow Corning integration team for Dow, will take on the role of chief executive officer for Dow Corning. Andy Tometich, a 27-year Dow Corning veteran, has been named business president of the silicones business. “We are excited to welcome the Dow Corning team to the Dow family, and to deliver the tremendous growth potential of the combined company,” said Ungerleider.